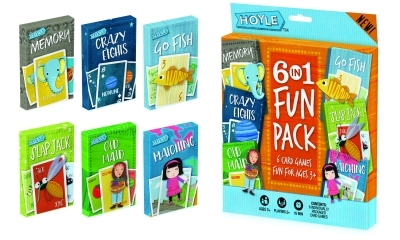 Hoyle Branded 6 in 1 Fun Pack contains unique-themed kids card games. 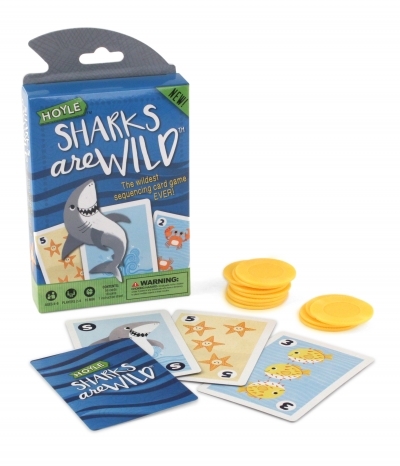 Games develop learning skills like matching, color identification, counting, A-Z letters, making pairs, taking turns, recognition and more! 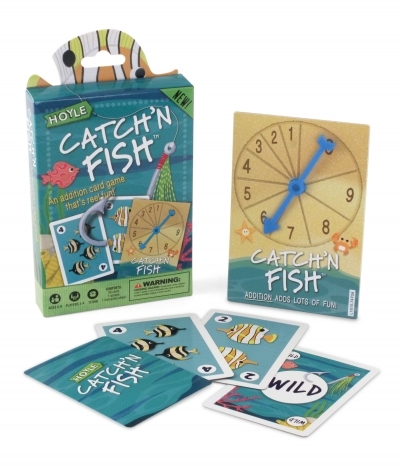 Catch'n Fish is a fantastic intro to early math number sentences. 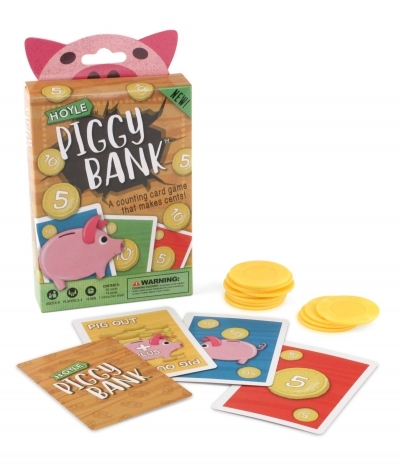 Bright images on cards, and I like the rules are simple to follow. Can be adapted to multiplication too.